Wordless Wednesday blogging with photos once a week! hahaha.I guess that's appropriate. It's where it's going to end up anyways....right. You said it Carol you really ca have your Toblerone and eat it too cuz it says with you forever! I cracked up at the first comment, about that being where it ends up. 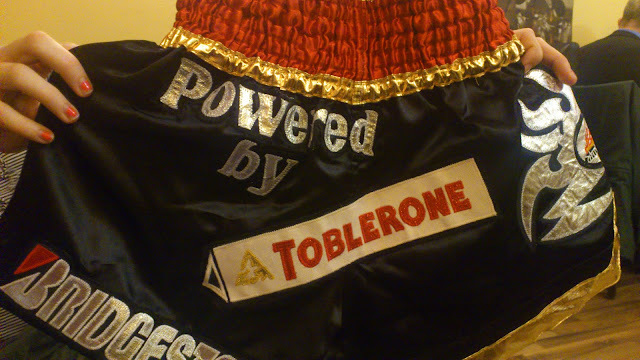 I thought it was pretty cool Toblerone would sponsor any sport!